The bigger the number the more place values, and the harder it is to compare numbers! Your student can work on this important concept in this worksheet. 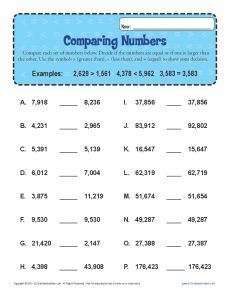 Use it in conjunction with 4th grade Common Core Standards for Number & Operations in Base Ten or for other students as needed.